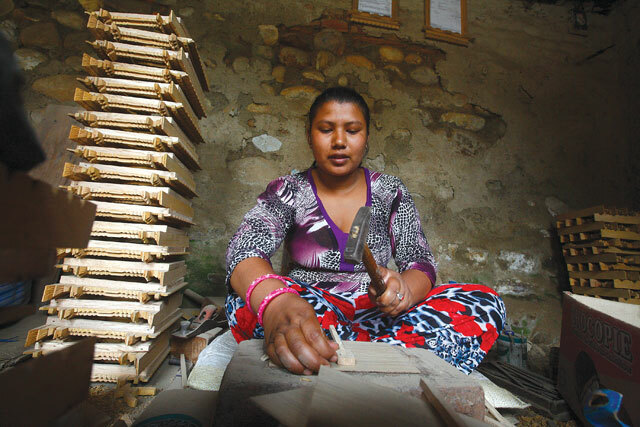 WORKS OF ART: Although her home was destroyed, Santa Bajracharya resumes carving picture frames, and hopes that business will return as tourism picks up. The 600-year old Kasthamandap, the iconic nine-storey Basantapur Palace, the Hari Shankar temple in Patan, and the Machhindranath temple in Bungamati were some of the Valley’s historic shrines that were destroyed on 25 April. Although the earthquake razed ancient towns, it also offered a chance to revive traditional wood carving and create new jobs. Nearly 500 temples and monuments in Kathmandu Valley were damaged. Historic towns like Sankhu, Bungamati and Khokana were badly hit. Wood carvings are essential design elements in Newari architecture and many carved eaves, columns and struts were crushed under falling masonry. “There is definitely a need to rebuild these structures accurately, and it could revive the wood carving industry and boost sales of handicrafts also,” says Upendra Rana of Nepal Traditional Crafts, an established exporter of Nepali handicrafts. 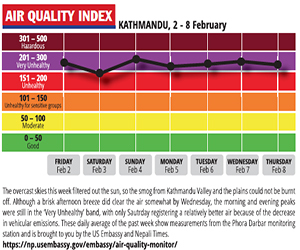 The hub of wood carving in Kathmandu is the town of Bungamati, which was almost completely destroyed on 25 April. Most of the town’s inhabitants are busy clearing the debris, living in temporary shelters, and haven’t had the time to think about their traditional occupation of wood carving. Naresh Raj Shakya, 26, follows his ancestral profession of wood carving in Bungamati, which many hope will be revived during reconstruction of temples destroyed in the earthquake. “I hope government will use our ancestral skills of carving wood to rebuild our temples. This way, the monuments get rebuilt and the people here get jobs,” says Manik Raj Shakya, 49, who started wood carving when he was only 12 and has been to Thailand and Japan to build Nepali temple replicas. His son, Naresh (above), is also in the family business. Despite the toll the earthquake took on the people of Bungamati, there are signs of hope and inspiration. Santa Bajracharya’s neighbourhood was destroyed, but she has gone back to her hammer and chisel to carve photo frames for sale to tourists. She is optimistic that sales of carved curios will pick up once tourists return. “It will take time to go back to how it used to be, but we have to work like before,” says Bajracharya who works alongside her husband amidst a stack of carved frames. At the Patan Industrial Estate, the wood carving workshops look quiet. Many workers have not returned from their home districts, and showroom sales are down. But Srijana Silpakar who runs Nepal’s pioneering wood carving company, Wood Carving Industries, sees an opportunity to resurrect the tradition and train new apprentices. “Reconstruction will start soon, the temples have to be rebuilt, and we will need more skilled carvers. When handicraft sales went into decline a lot of wood carvers got other jobs, now they could come back,” says Silpakar. Remaking some of the intricately carved windows and columns will not be easy, though, it will need patience, precision and practice. The skills and tradition are still alive, and need to be passed down to a new generation. “If we want to rebuild our temples exactly the way they were, we don’t even need tourists to boost the wood carving industry, there will be enough work for us,” says Silpakar. Even so, the handicrafts industry has ups and downs that correlate with figures for tourist arrivals. So, just as sales of wood and metal artefacts went down during the conflict, there has been a similar slump in business after the earthquake. 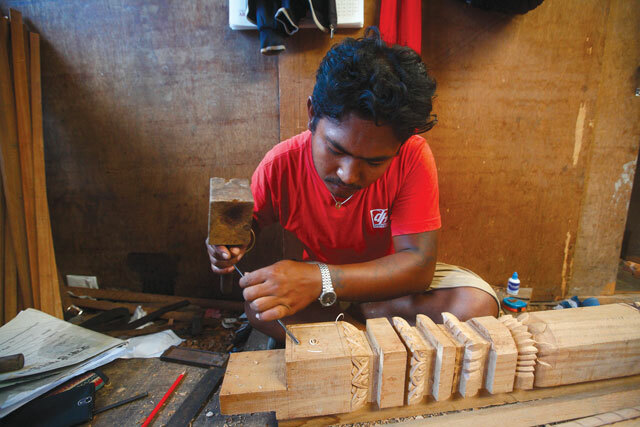 “If the government makes concrete plans to revive tourism with promotion abroad, it will automatically help boost the wood carving industry,” says Milan Silpakar of Newa Wood Carving in Patan. Besides tourism, Nepal’s wood carving industry also has great export potential, which is only partially tapped. 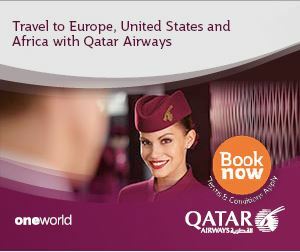 For example, Walt Disney Animal Kingdom in Florida has been buying Newari and Tibetan motifs from Wood Carving Industries to create Tibetan City in its popular Expedition Everest exhibit that opened in 2006. The earthquake showed that there is immense goodwill for Nepal abroad, and if promoted right, this could translate into increased exports of Nepali wood art. Video: Anita Thapa from Nuwakot carving designs in a column in a workshop of Wood Carving Industries located in Patan Industrial Estate. India has changed, and so has its self-perception. If only Nepali politicians could see it. It's easy to bash INGOs, but how is your own company being run?